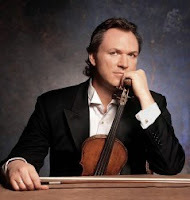 Mark O'Connor is an American violinist, born on August 5, 1961. He has been playing professionally since about 1974. Though he is primarily known as a (largely self-taught) fiddler crossover artist, he is heavily into composing what could pass as classical music heavily influenced by Jazz and Country Music idioms. His violin concertos have been especially successful with critics and audiences alike, though reviews of his works by sophisticated and high-powered critics are often diplomatically worded. In the style of Paganini, Spohr, Wieniawski, Enesco, Sarasate, Kreisler, and others, he plays and promotes his own music. O’Connor also frequently records with classical musicians as well as country music artists. Two such artists are cellist Yo Yo Ma and James Taylor. It could easily be said that he is one of the U.S.’s most successful composers, having written for practically every venue – the stage, television, and movies – and every format, from country songs to chamber music to concertos to large-scale symphonies. O’Connor could never be categorized as a classical violinist (playing Bach, Beethoven, Brahms, Tchaikovsky, etc.) using other musical genres in his compositions (ala Copland), but neither could he be dismissed as having no influence (however slight) on the classical music landscape. I am listening to Mark O'Connor's Hot Swing Trio right now and it is fantastic! He is very talented and versatile! !